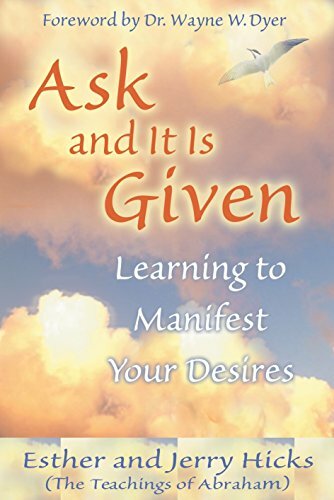 Ask and It Is Given, by Esther and Jerry Hicks, which presents the teachings of the nonphysical entity Abraham, will help you learn how to manifest your desires so that you’re living the joyous and fulfilling life you deserve. As you read, you’ll come to understand how your relationships, health issues, finances, career concerns, and more are influenced by the Universal laws that govern your time/space reality – and you’ll discover powerful processes that will help you go with the positive flow of life. It’s your birthright to live a life filled with everything that is good-and this book will show you how to make it so in every way!